Linker kit is a set of LEDs, sensors, actuators, displays, etc modules that defined to have a common interface. It makes very convenient to conduct projects without the breadboarding or soldering. 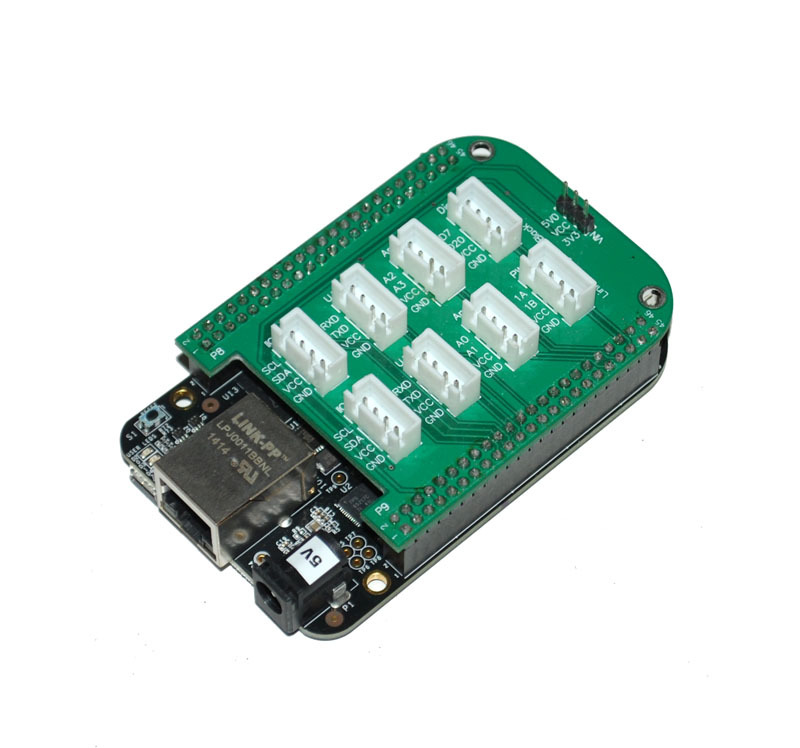 In this post, we will look at how to use linker kit modules on beaglebone with the help of a linker base shield that is designed for beaglebone. There is a jumper header on the linker base shield for Beaglebone to select the logic level of the interface to be 3.3V or 5V.